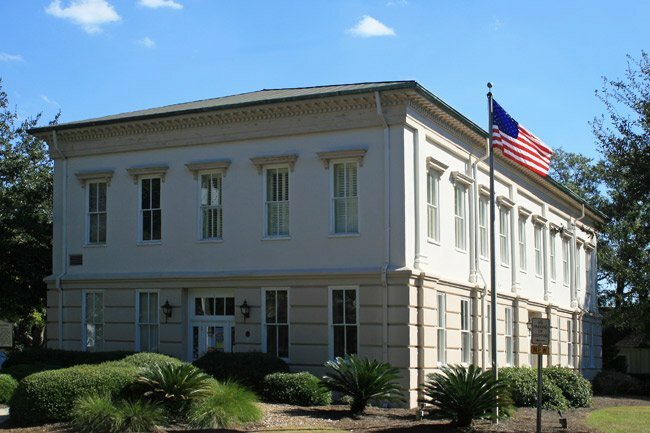 Now firmly within Charleston County, Mount Pleasant was actually the county seat of adjacent Berkeley County from 1882 until 1895. 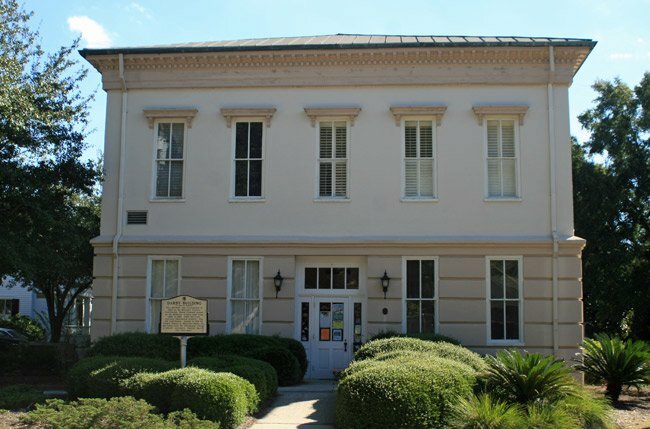 In 1895 the county seat was moved to Moncks Corner, where it remains, and Mt. Pleasant once again became part of Charleston County, as it had been prior to 1882. 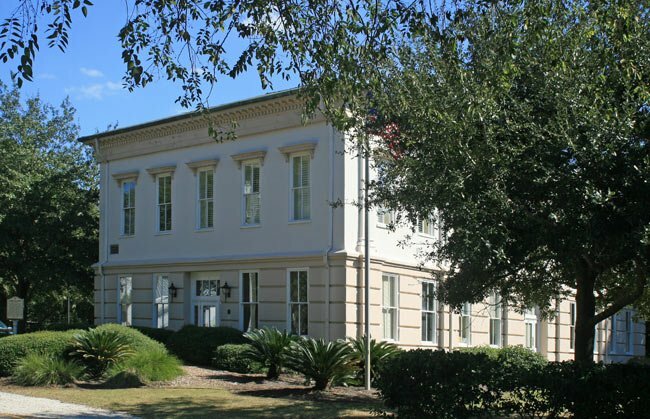 This building was completed in 1884 for use as the Berkeley County Courthouse, though it has served many institutions over the course of the past century – including a Lutheran seminary, a church, a newspaper, and a town. In 1898 the Lutheran Theological Southern Seminary moved here upon its separation from Newberry College, though the two institutions maintain an affiliation to this day. The seminary remained in this building until 1911 when it moved to its present location in Columbia. By 1917 First Baptist Church of Mount Pleasant received its charter, and the new congregation met here until 1964 when it built its present church. For a time the building was occupied by a newspaper, and in 1978 it became the location of city hall. Today the building remains under ownership of Mt. Pleasant and is used as the Park and Facilities Building. In 1991 the building was formally named the Darby Building for former Mt. Pleasant Mayor G. Magrath Darby, Jr.